Most people think that investing in high-quality roofing materials can eliminate the risks of roof damage. This, however, is not always true, especially if the problem is caused by the elements and other inevitable factors. Roof punctures, for instance, may catch property owners off-guard. 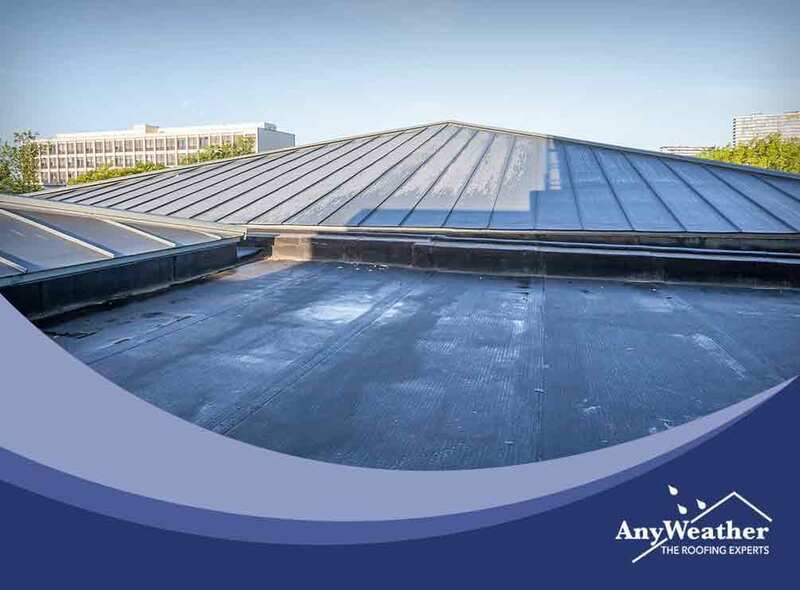 AnyWeather Roofing, your commercial roofing contractor, discusses the three roots of this roofing problem. Your roofing system may be sturdy, but that doesn’t mean it isn’t prone to developing punctures. Antennas and HVAC systems installed on your roof, for example, may impair the materials underneath and even cause leaks. Foot traffic by technicians and plumbers climbing on the roof to perform their duties can also have negative effects on your roof. Moreover, homeowners who attempt do-it-yourself repairs may do more harm than good to their roofing system. Their lack of knowledge and experience may affect their roof’s performance, weather resistance and curb appeal. To avoid these problems, get in touch with a reliable residential roofing replacement contractor for your roofing projects. Apart from roof traffic, your home’s location and weather conditions may also cause punctures. Blown-away debris during storms, for instance, may hit and punch holes in your roof. The same is true when it comes to hail. Address roof punctures right away after a storm to prevent compromising your roofing system’s integrity. Old roofing systems naturally wear over time, and punctures are one of the most common roof problems caused by aging. To avoid age-related roof damage, why not consider installing a new roofing system? We offer GAF asphalt shingles guaranteed to last a long time, especially with proper maintenance. They also come in a wide range of styles and colors to revamp your home’s look. Turn to AnyWeather Roofing for your residential and commercial roof installation. We offer superior siding, gutters and roofing materials to help boost your home’s curb appeal and weather protection. Call us today at (859) 286-6400 if you are in Northern Kentucky, at (513) 906-6009 if you are in Cincinnati, OH, or at (937) 956-0200 if you are in Dayton, OH. You may also fill out our online form for an estimate.